Strictly speaking, annuals are plants that germinate, flower, set seed and die in one season. In other words, annuals pack a year’s worth of living into a short season of time. One of the best things about annuals is their incredible diversity and versatility. Using them allows our garden designers to compose really exciting combinations of color, form and texture that lasts all season long. 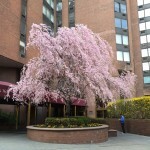 Colorful annual flowers are the utility plants of the garden. 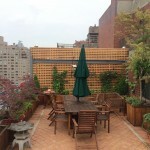 Annuals bring months of visual pleasure to gardens, enhancing rooftop gardens, backyard landscapes, terrace flower beds and custom built garden containers. 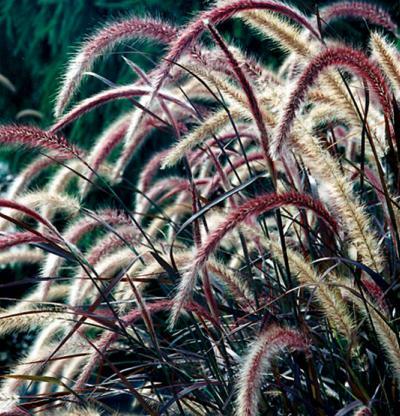 Selecting annuals for a garden isn’t just about flower color. 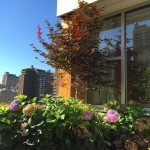 There are annuals that are tall, medium, short or climbing ones. There are annuals that prefer either full sun or partial shade. 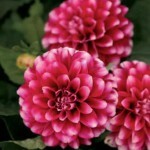 Some annuals have special virtues, such as delightful fragrance or attractive foliage. But it’s more than just their versatility; annuals are charming. 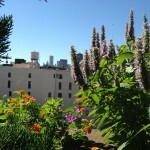 Now that planting season is here, it is now the right time to plant annuals to maximize a garden’s appearance. Annuals are good for filling in bare spots where a perennial may have died. They add an instant flash of color in gaps between perennial. After clearing away debris from the planting areas, a slow releasing organic fertilizer is added. When the soil is dry enough, we spread composted cow-manure over the whole flower bed and till this manure into the top 3 or 4 inches of soil. For most annuals, the more sun the more flowers. Only a few, like begonias and impatiens, perform well in heavy shade. Most annuals prefer well-drained soil. We work lots of composted cow manure into the soil when preparing annual beds. Annuals are heavy feeders, so make sure your soil contains sufficient nutrients to last the whole season, as these plants are capable of providing. Sniping or popping off spent flowers (known as deadheading) helps keep annuals in bloom. Removing fading flowers tends to improve their appearance and even encourages new blooms. When selecting annuals, we look for plants with green, healthy leaves. We steer clear of tall, lanky plants with yellowing foliage or few leaves, or annuals that have already bloomed. There are literally hundreds of annuals to choose from. Here are some of our popular favorites. 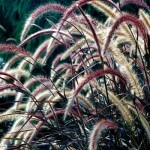 Pennisetum: Colorful option when grass is desired. Rubrum: This tropical annual produces mounds of narrow burgundy-red foliage and purple plumes to 1 foot long. 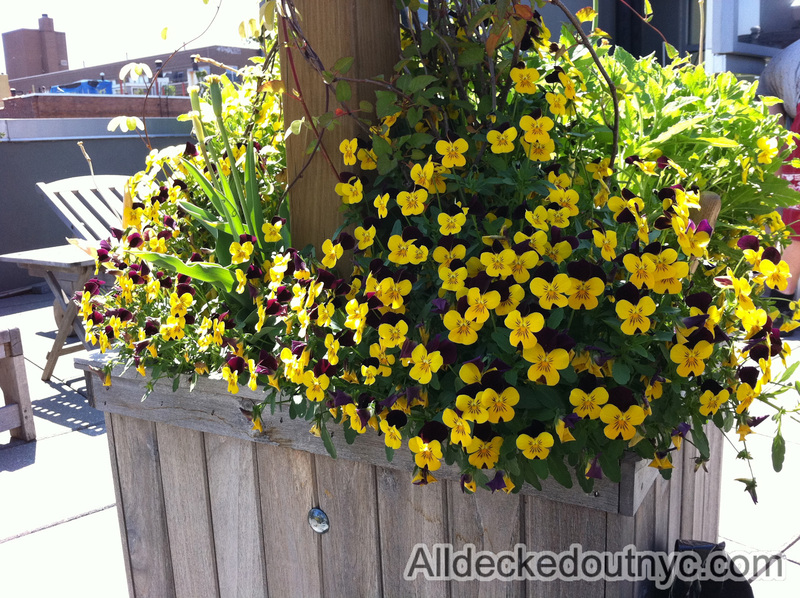 It is invaluable for containers and stunning, annual foliage color in a border. Agastache: Fragrant and Deer resistant a great choice for the edge of lawns or near wooded areas. Ornamental favorite, these Agastache are unlike those commonly sold as the coarse herb. Tubular flowers resemble Salvia to which they are closely related. These tender perennials often winter over but have not been long lived. Leaves and flowers of this fragrant, fruit scented genera are used for teas and potpourri fresh or dried. 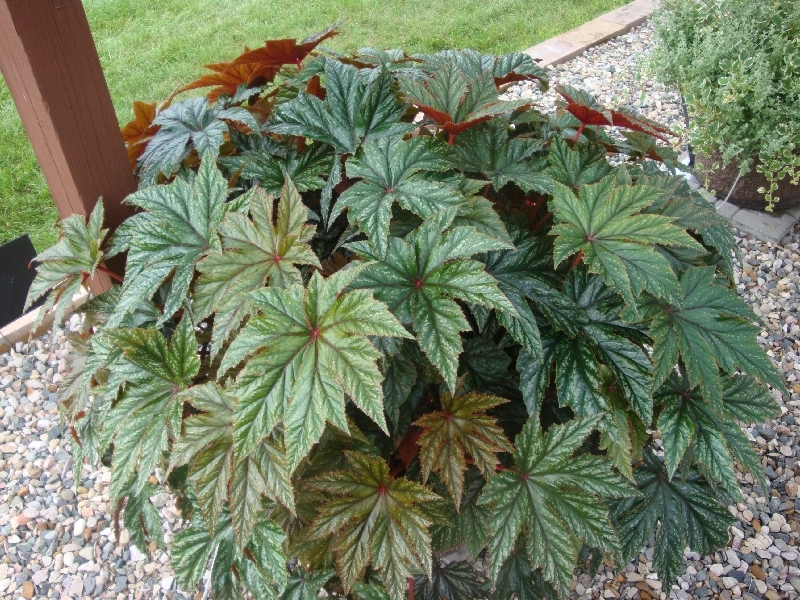 Begonias: Great foliage covered with many four-petalled blooms. 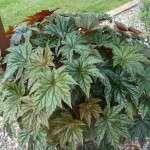 Caladium: Great choice for shade locations, Caladiums provide a large variety of color choices. Calibrachoa / Petunia: An annual delivers the best characteristics of the favorite petunia and calibrachoa: strong vigor, exceptional flower power, lush foliage, dependable performance and a range of unique colors. Lantana: Attracts butterflies and hummingbirds, Lantana are extremely heat tolerant. 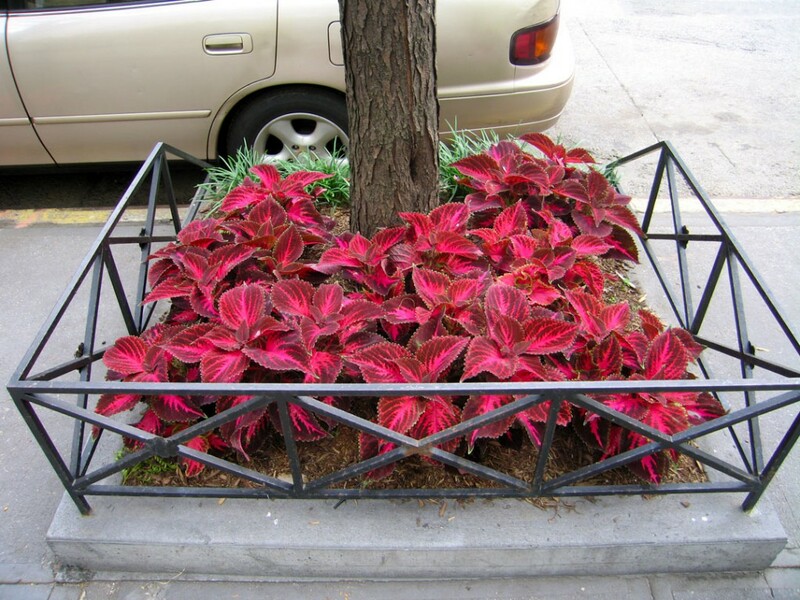 Coleus: More popular every year Sun Coleus are versatile, easy to grow and beautiful. Petite leaves and small internodal distances on the most gregarious stems imaginable. It is simply remarkable in containers or in the ground. The foliage is reddish purple contrasting well with any flower color. Useful with impatiens in the darkest of spots or bright pink verbena in sun. Each leaf has a fine yellow edge enhanced in combinations. Full blazing sun, shade. Needs very little root room to do a big job. 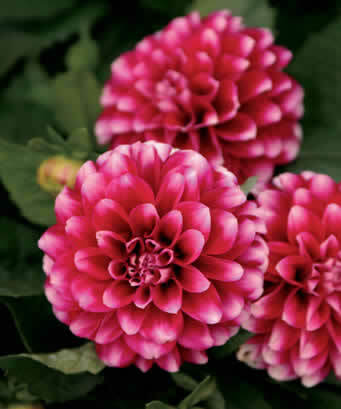 Dahlia: Dahlias are grown for multiple branching and full stocky growth; perfect for planting in the Spring. 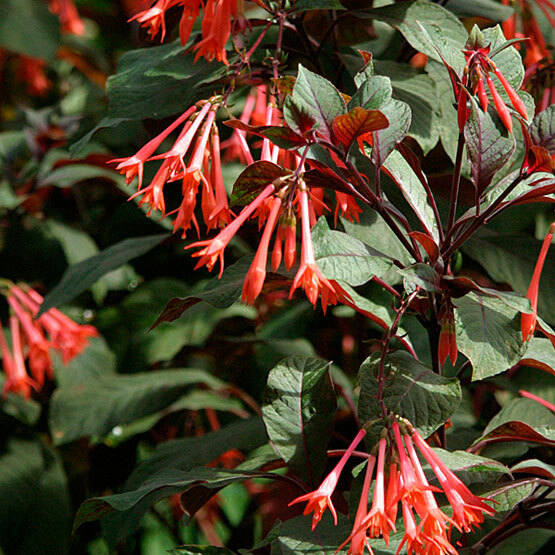 Fuchsia: Fuchsias are actually tender perennials grown as annuals outside tropical regions. Plant them outside in spring after all danger of frost has passed. They need rich, well-drained soil and ample moisture. Gazania: Strong hybrid with creamy white or red blooms and pronounced dark center. Drought resistant plant with a huge flower. 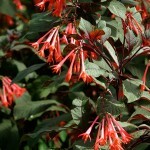 Lobelia: Light blue or scarlet red blooms on an early flowering, trailing variety. Verbena: Verbenas produce a profusion of flowers through the heat of summer and the cool of fall. This is a well-deserved garden favorite but also try experimenting with it in large containers. It can be a colorful structural element. Small lavender panicles are clustered atop erect 3′ stems never stop blooming from June until October. No deadheading required.